After what appears from the fan’s perspective to be a horrifying incident, NASCAR took what many consider a cowardice approach to the situation at hand. The entire incident illustrates the need for training and “Fire Drills” for the entire sport, and all teams alike. 1) Don’t React – Respond. The first fail that took place with NASCAR was for them to quietly ‘hide’ from the matter rather than facing their fans. 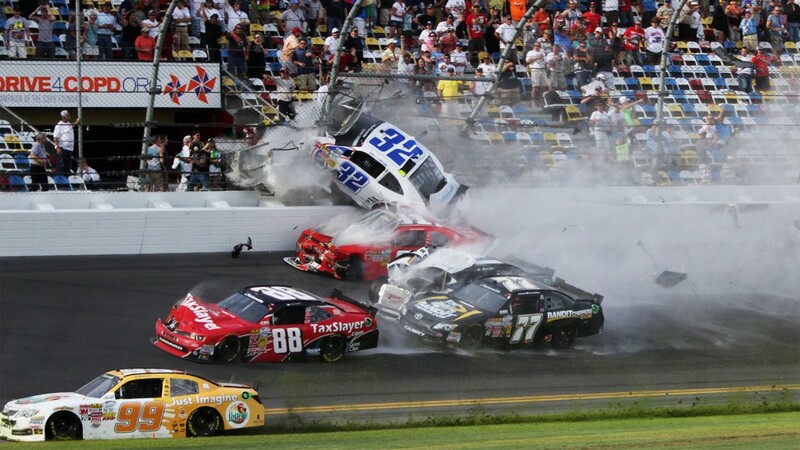 As Mashable reported: When a multi-car accident punctuated the end of a NASCAR race at Daytona on Saturday afternoon, fan-shot footage of the disintegrating cars, pieces of debris flying into the stands, and a tire landing between the bleacher seats quickly found its way to YouTube. Minutes later, the clip was removed by YouTube at the request of NASCAR, citing copyright concerns. Should the company faced with the matter immediately release statement on the matter? Absolutely. What should any company do in a crisis? Apologize. No matter who is at fault, corporations will take the blame. Here’s NASCAR’s position on the matter: The fan video of the wreck on the final lap of today’s NASCAR Nationwide Series race was blocked on YouTube out of respect for those injured in today’s accident. Information on the status of those fans was unclear and the decision was made to err on the side of caution with this very serious incident.—Steve Phelps, NASCAR Senior Vice President and Chief Marketing Officer. When one Tweeter commented on Glen Gilmore’s tweet about the Mashable article asking “Why share this with the word?” Gilmore’s response: “Should we not confront the stark reality of it – w/ an understanding only such a terrible clip shows?” Numerous people are taking a similar standpoint.